We can all learn a little something from this clip from this week’s Colbert Report. What matters isn’t politics or whatever stupid or great thing you believe Obama has done this week. What matters is family, and Lorna Colbert, Stephen’s late mother, knew that. Lorna Colbert passed away recently at the age of 92. By the sound of Stephen’s teary tribute, she was one of the most amazing women to ever have lived. Lorna Colbert was born the same week women earned the right to vote. She spent summers with her family and had a huge crush on Stephen’s father, who she met at a cotillion and age 12. They fell madly in love. I say madly, because they have 11 kids. 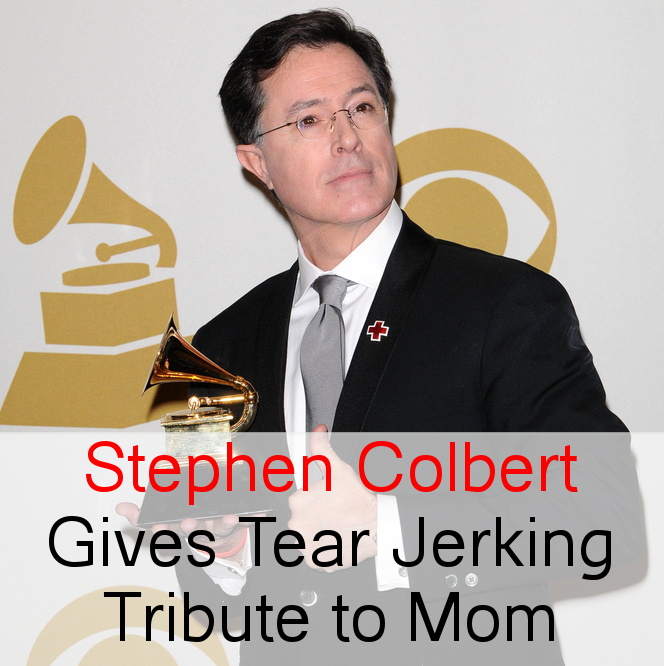 Stephen Colbert said that his mother kept a loving home. Lorna Colbert taught her children a love of acting and how to do stage falls by pretending to faint in the kitchen. She knew tragedy, losing her brother, husband, and three of her sons. She loved life “without bitterness,” Stephen said. Stephen said that even though his mother started to lose her memory toward the end of her life, she never forgot “Child’s Prayer,” which she recited in German. Her memory waned, but never did the image of tucking in her children at bedtime. Stephen Colbert took a week off after Lorna Colbert passed away. He said that when he was leaving her to go back to New York, just before he passing, he said he had to go do the show.